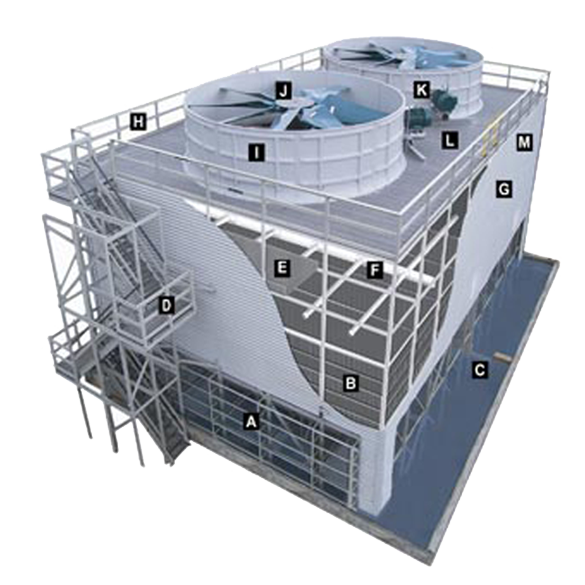 Custom FRP structures are designed for ease of installation and overall budget control. All TEI fiberglass designs are adaptable, and like the concrete designs, can be custom sized to fit almost any footprint. Materials of construction include standard FRP structural profiles and stainless steel hardware with FRP double-wall or corrugated-wall casing. All TEI fiberglass has a flame spread rating of 25 or less with self-extinguishing properties.